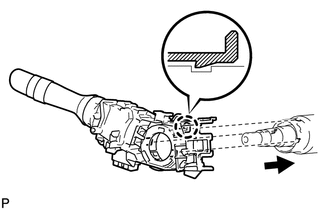 (b) Disengage the clamp as shown in the illustration. 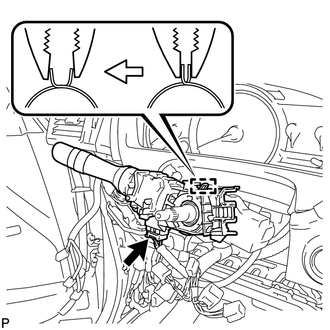 (c) Disengage the claw and remove the headlight dimmer switch assembly as shown in the illustration. 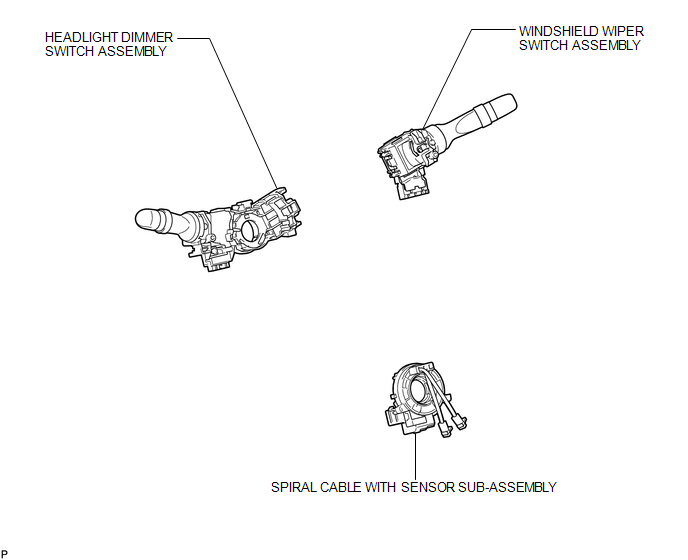 If the result is not as specified, replace the headlight dimmer switch assembly. 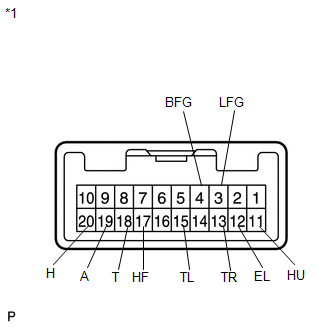 (a) Install the headlight dimmer switch assembly as shown in the illustration. (c) Install the headlight dimmer switch assembly with the clamp.